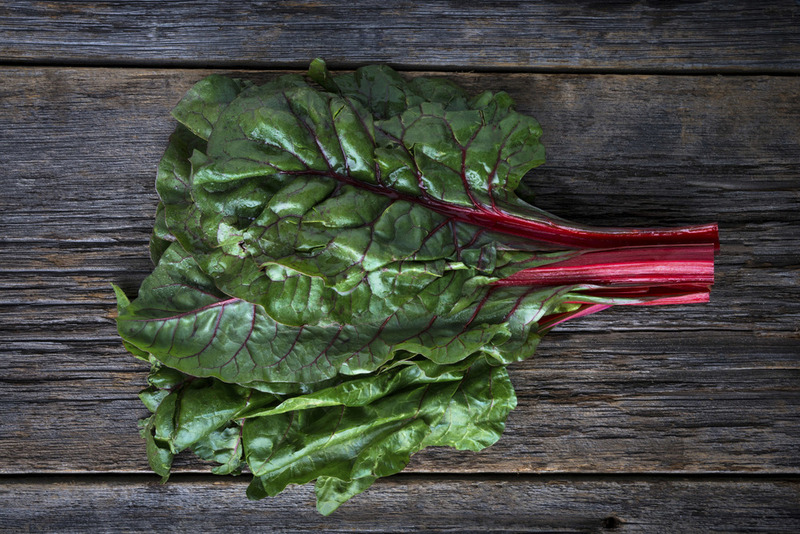 I didn’t get into chard until later in life…but now this leafy green veggie is one of my faves and is a total nutritional powerhouse – giving you good doses of vitamins C, K, A, iron, magnesium and other micronutrients. I’ve always been what you can describe as a “guy’s girl,” so I often find myself palling around with a lot of male counterparts. My lady friends, as I recounted to my other amiga a few weeks ago, are often out being awesome and dynamic – traveling the world and doing the things that they are most passionate about. It’s not often that I can get even a sliver of my female friends in a room. I just so happened to hit the lottery yesterday and was able to curate a nice dinner for four lovely ladies. I met both Jennifer and Maureen through the Pirelli Calendar and have been friends / pseudo-neighbors with Robin…having met her at Charity: Water years back. She even brought her sister, Heather, which added more fun to the evening. 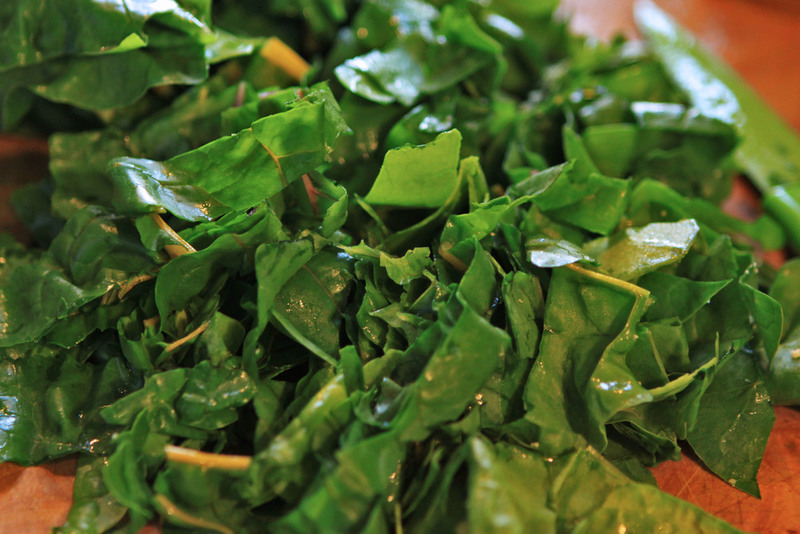 I personally like to chop up the chard and saute it much the same way that you would do with spinach. 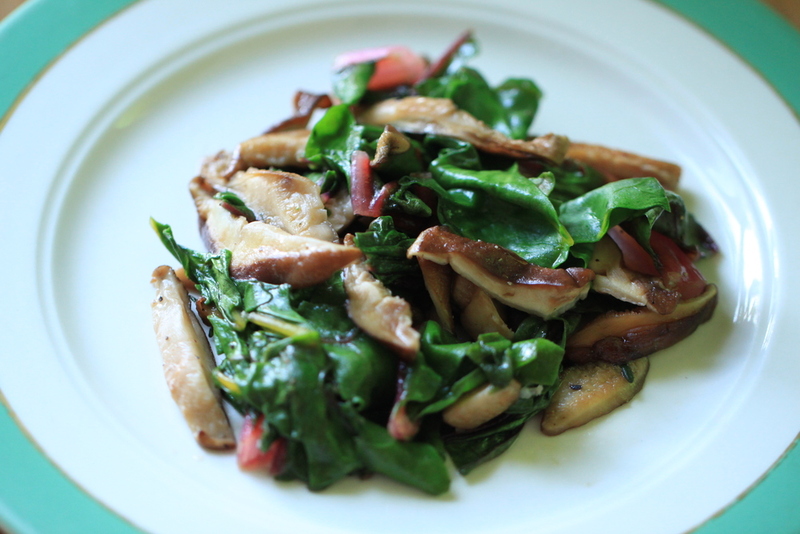 The final product: Sauteed shiitake and Swiss chard. The shiitakes add a nice, subtle, creamy sweetness whereas the chard gives a subtle bitterness. Match made in heaven! 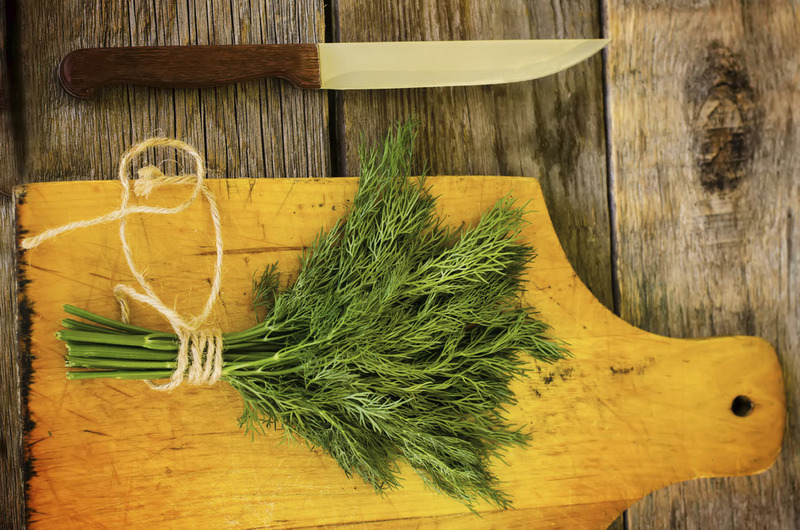 Dill is not just for pickles – it’s a distinctive tasting herb that gives a little summer zests to simple salads like the radish and cucumber salad below. I’ve been eating farm more avocados as of late, particularly because I love the smooth soups and “puddings” that I can create by blending them. 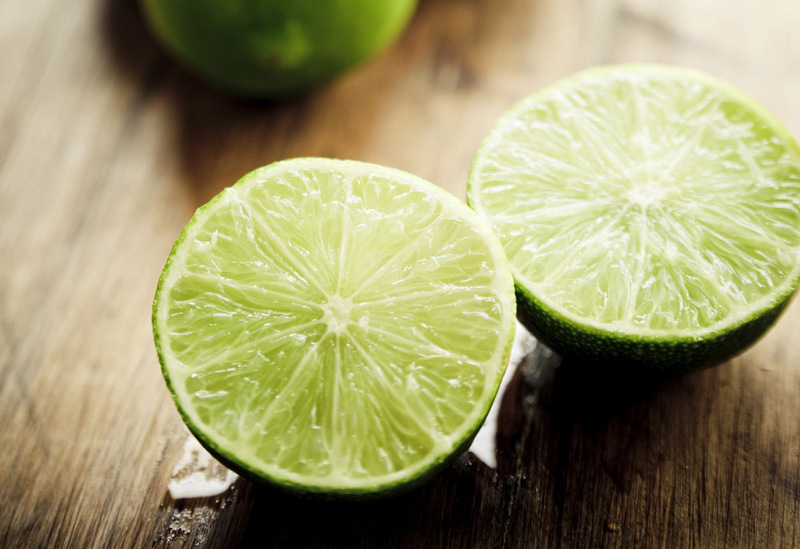 A little spritz of lime to salads and cold avocado soups is always a welcome flavor. 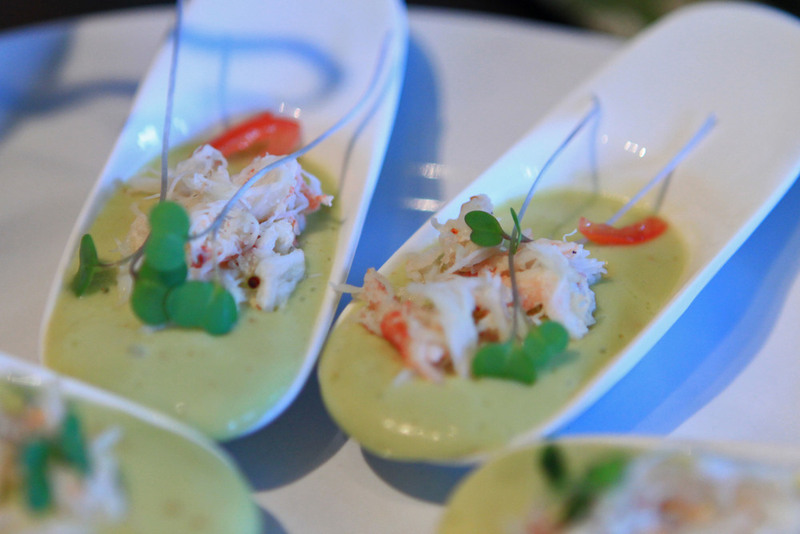 This chilled avocado and Jonah crab soup was definitely one of the favorite gastronomic goodies I’ve ever made. 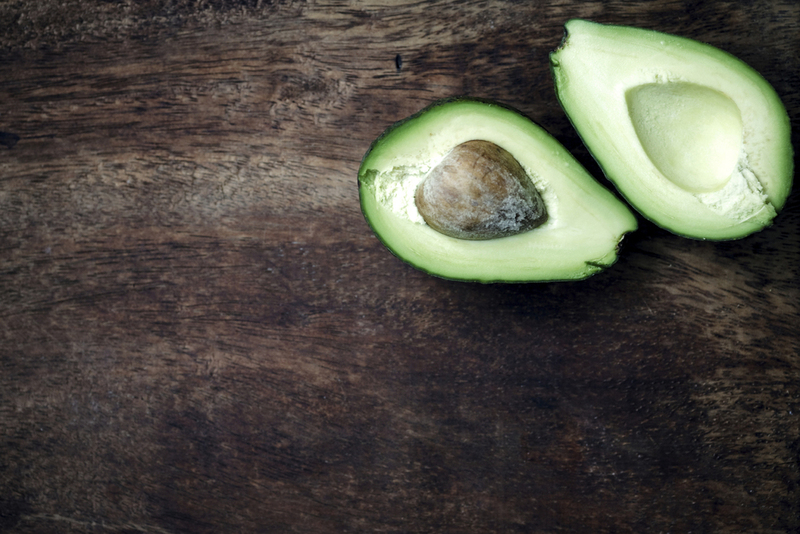 Halve an avocado, remove pit and scoop out the center and place in blender along with chili powder, salt and pepper. Remove and pour into a bowl. Add 1/4 cup of water and stir. Taste to see if you need to add any more seasoning. Spoon into amuse bouche spoons or little bowls. Add some crab (mine was frozen, I let thaw and then sauteed really quickly for 15 seconds). Dress with some sprigs of microgreens and a thin slice of tomato. 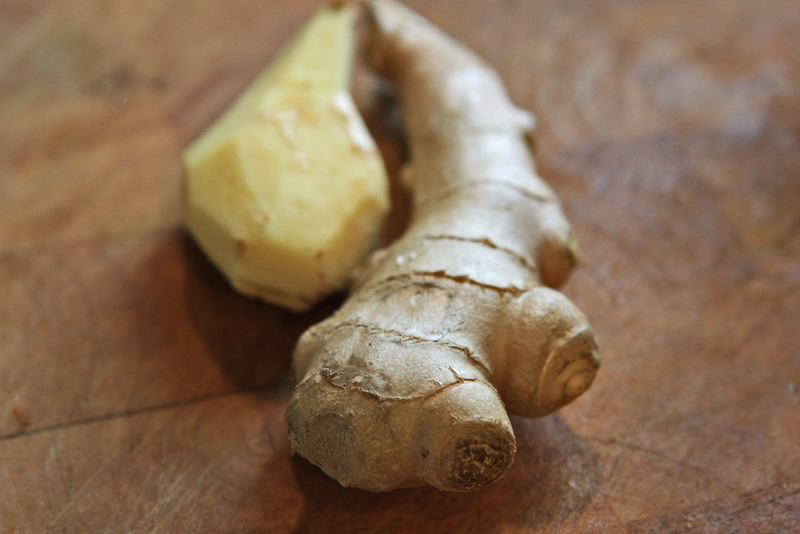 I love ginger and am not afraid to load it into my soups. I made a version of this curry-ginger soup earlier in the week but wished i had put more ginger in it. 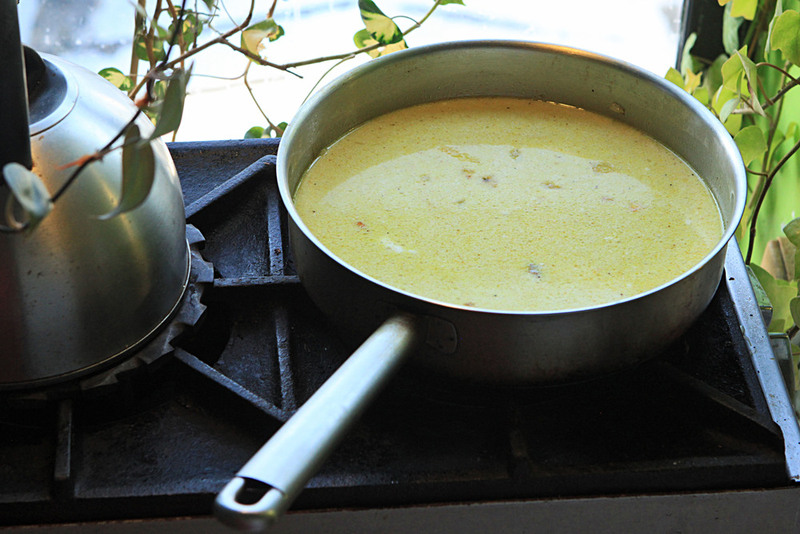 Add some extra virgin olive oil or ghee to a pan. 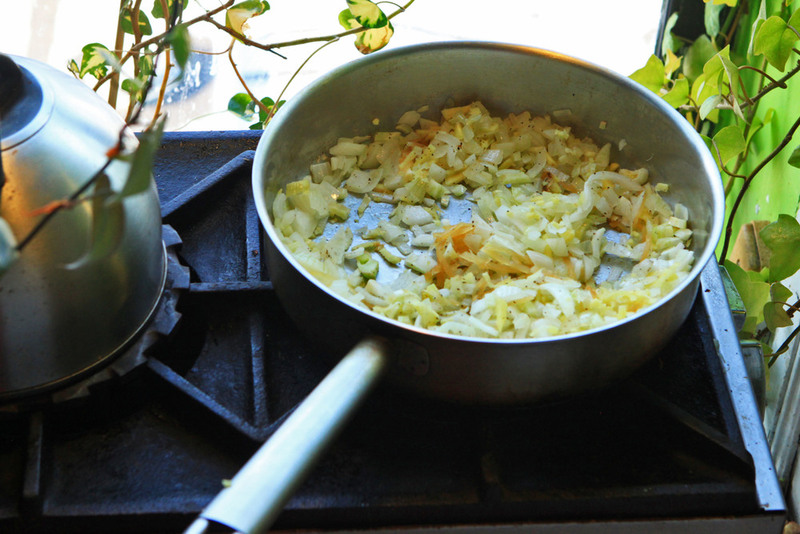 Saute an onion until it browns. Add ginger into the mix. Once everything is caramelized, add curry, turmeric and cumin. Add as much as you want for your taste. Add two cups of coconut milk to the mixtures. Warm up. Include cauliflower, shrimp, and crab. Take off the stove and add some cilantro and some microgreens as a dressing. I think I caught everyone mid-eating. Whoops! Lots of love to my friends Robin, Heather, Maureen and Jennifer.